Agreed, the upcoming refreshed Colorado and Canyon for 2020 would stand a better chance with this 2.7 Liter as an update to their Power Train Portfolio options, while the Silverado for 2020 should discontinue that option until they get right, this is a true embarrassment, the 2019 RAM 1500 Mild Hybrid along with the upcoming All-Electric F-150 will have a “Field Day” with that 2.7 Liter in Comparison Test. I still love the truck, but won’t buy the 2.7 Liter by any measure if the benefits in savings at the Fuel Pump aren’t there, no matter the technology. Who buys a full size pick up with the small engine option and a “four-by-four transfer case” which you forgot(?) to mention. Jumps on the highway and expects to get good fuel mileage at 75 mph? It’s pretty easy to set up a scenario where you have two completely different engine types and test them in conditions that would favor one over the other. I’m surprised they didn’t hook a trailer to them for that test. Would you use a 3HP 240V electric motor as your coy pond pump? If I needed a full size parts runner for my company, I would probably go with the 5.3. Either way, I wouldn’t want my driver out there “speeding” around. The EPA test are valid. If you ever look at your average MPH on your vehicle it’s probably under 35MPH unless you live right off a highway exist. Most time you’re stuck at lights, traffic, non highway speeds. In these cases the 4 cylinder will do better. Picking 75MPH is just cherry picking a speed that the 4 cylinder will do worse at. At least pick a legal speed limit in most states – 70MPH. The legal limit on our “major” hwy (476) is 70 mpg. however, one cannot go 75 without getting passed. speed on that road is routinely 75-85. Hell the legal speed limit on another local hwy is 55-65, and cops routinely sit as people drive by at 70. “Speeding” is not as big of a deal in our area (SE PA). It is just a bit scary doing 80 in a 2001 2500 Duramax. Especially on a windy day like yesterday. 75mph is not real world lol. Try going 65-70mph. Trucks are naturally not aerodynamic friendly.. as your speed increases, the drag does as well, which causes the engine to work harder. But seriously, who the fu*** goes 75 naturally on the highway…!!? Let’s see. I do, going on I69 in Michigan, where is is a legally posted speed. South Dakota here, 80 mph I-90 and I-29. I like that answer, count me in too on that one…..Lol!! Most of the country were the limit is 70. They really should’ve introduced it in the Canyon/Colorado first. Having the 2.7 as a big news item with their new full size is just another brain cramp from GM. They are really testing the loyalty of their truck base right now with some of the decisions they’ve made. 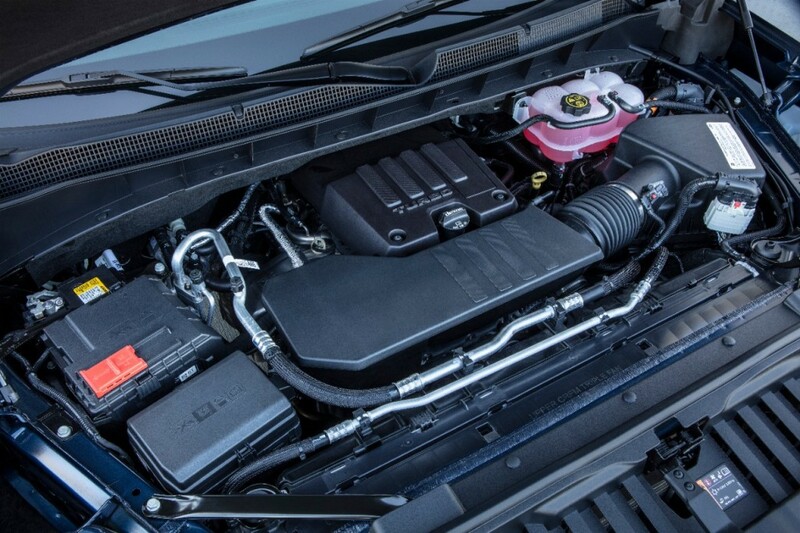 Engines today are engineered to meet government mpg and emissions test. That is why you also have start stop and AFM. Matters little what numbers a magazine gets at their own test as they do not count to the government numbers. Time to stop being mad at GM and more concerned about regulations that are leaving us with Rube Goldberg engines that are not all that much better and much more expensive, complicated and annoying. This is no different in California where if a modification to add power proves to be cleaner it is still not legal to do. You can see where the government can’t manage this yet so many are wanting the, to manage their Health and life? I think you just nailed it! Could these trucks get anymore bad press? I hear all the hype and advertising but this truck is almost like GM just phoned it in. I have looked at the truck in person several times now on different trim levels and I keep finding more reasons not to buy than buy. I think you are right, it will never be said publicly, but I bet GM will quickly move to fix a lot of things on this truck. And I hop e a lesson is learned and the 2022 SIlverado is the truck we all thought we were getting! This is car and driver now. It’s sad they feel the need to conduct an unfair comparison test simply to prop-up a predetermined headline they think will get clicks. It looks like it would have been better just to put the turbo in the reliable V-6. Blow the competition away and make the customers happy. I am really curious to see the 2019 sales numbers when it is all said and done. I think Ram is going to really lay a beat down on Chevy this year. Worse mileage then a 5.3? The 4 cylinder engine is DOA. GM has been building small block V-8’s since 1955, they are pretty well sorted. The complexity alone of the 4 cylinder makes the decision a no brainer. There are places where a 4 cylinder makes sense, but it’s not in a full size pick up. And the dealerships must agree as I have yet to see a single 4 cylinder Silverado to date. They are all 5.3 and a few 6.2’s. Going by GM’s own stated MPG the 4 was only slightly better than the 5.3 in some areas worse. Even the price difference for the option was about the same. Thats why I didn’t understand the reason for spending the development money for this Engine. For a company that seem to be so obsessed with saving money they sure don’t seem to mind wasting money. While GM Management has seemed to back away from hybrids, my initial thoughts about this 4 cylinder, was that it could be used at some point, in conjunction with an electrical motor setup for higher output and better mileage? What was the point then developing this engine? Cruising empty is exactly where this engine is supposed to stand out. Nobody would expect a big difference hauling / towing heavy loads or in stop and go driving. A Shake-Up in the leadership is what they need at this point, they have the wrong person overseeing and giving the “Green Light” for all the wrong reasons when it comes to some of their vehicles right now. GM misses Bob Lutz, but won’t admit it. Guess what, this is not a “real world” test. The 4 cylinder will be bought in very small numbers by people who do most of their driving around town, in-city. It’s not for people doing long hauls through Idaho at 75mph. Also, remember that GM pickups have a nasty habit of getting much BETTER mileage in the real world, meaning, in customers hands not the EPA or big publication reviews. The real question is why does Car and Driver do everything they possibly can to rag on GM pickups. Who doesn’t go 75 on the freeway? Sounds real enough world to me. Someone looking to get good fuel mileage, that’s who! Someones gotta rag on them every once in a while or GM will go back to making the junk they made in the 70’s and 80’s. The engine was a mistake and they’ll learn from it. Maybe the 2.7 will be a better base engine for the C1 SUV’s. The Blazer needs a better base engine to get the AWD. Those turbo will be the first item to fail on trucks after they get some miles on them. What’s that going to cost?